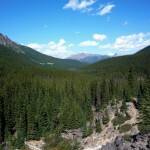 Yep, the blissful silence on this blog is now over, because we’re back from our holiday / vacation in the Canadian Rockies. For me, there’s very little that’s more relaxing than traipsing around unspoiled mountain regions enjoying the scenery and the wildlife (and trying not to get eaten by the latter). Some people like laying on beaches, and that’s fine, but there’s only so much of that I can do. 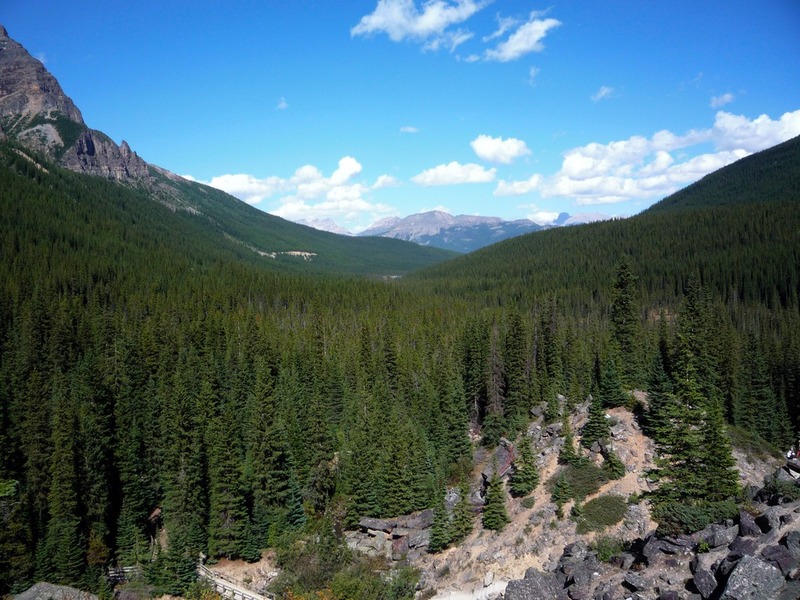 This was our second trip to Canada, and whilst we did a multi-centre trip last time, this time we concentrated on the part we liked best, the Rockies and the associated parks. We had lots more time this trip and so ranged about a lot more, and even came across a grizzly bear at one point - a little more closely than we would have chosen, since it was only about 10-15 meters away on a ridge above us, but luckily it was far less interested in us and it quickly wandered off after giving us a ‘what are you looking at?’ glance. That was cool, once our hearts had returned to their normal rhythm anyway. We got to see a few more animals than last time, which is always our favourite part of this kind of trip. I’d love to spot a wolf one day, but the closest we got were seeing a few tracks. I find myself liking Canada in general too, even though I’ve only experienced the west so far (the parks and Vancouver a few years back). From my point of view it’s a bit like America but with the volume turned town a notch or two, which when you come from a reserved / borderline emotionally repressed culture like mine can be a little more comfortable to slip into. 😉 The money also comes in different colours for different denominations, which is rather sensible to me (am I the only one to have problems pulling out the right US bills when in a rush or in low light? ), and of course has the same Queen printed on it, which is curiously comforting. And in a strange coincidence, many Canadians have a habit of appending ‘eh?’ to the end of sentences, a trait which is very common locally too - although combining the two perhaps has the danger of veering into nudge nudge sketch territory. In all, it was a great holiday, if a little bit physically tiring - and when you live at almost sea level, hiking at 2000 feet is tough at first just because of the thinner air. The parks are a great place to get away from everything (well, except my most urgent email - but that’s being self-employed for you) and right up our street. We’ve visited mountain regions in Europe but it’s a lot harder to find the wide, unspoiled areas like you can so easily in Canada. I envy people who can just jump in a car / train and get up there for the weekend! I’m catching up now, bear in mind I’ll be a bit busy in the next couple of weeks with all the things that have been waiting for my return.